At this year’s Heimtextil from 8-11 January 2019 in Frankfurt, Trevira GmbH presented a new Trevira CS joint stand on an impressively huge scale under the motto “Textile Values”. Its fair stand concept, scaled up for 2019, attracted a large number of visitors. Together with 26 top Trevira CS customers, Trevira told the story of the entire textiles value chain across a 2,200+ msq site. Visitors were taken on a journey that started with the basics – fibre production and yarn manufacture – before moving on to the dyeing, weaving and warp and weft knitting stages and ultimately to the end of the journey, the textile editing. 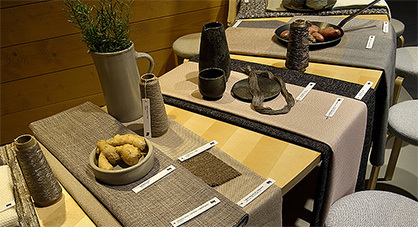 The following customers presented their newest Trevira CS collections at Trevira’s joint fair booth: Engelbert E. Stieger, FIDIVI Tessitura Vergnano, Gebrüder Colsman, Gebrüder Wylach, Georg und Otto Friedrich, Gerriets, Hoftex, Interstil, JAB Josef Anstoetz, Jenny Fabrics, Lonfil, Mattes & Ammann, Mewes, Mottura, Panaz, Pozzi Arturo, Pugi, Spandauer Velours, SR Webatex with Getzner Textil, Swisstulle, Tessitura Mario Ghioldi, Torcitura Fibre Sintetiche, Torcitura Lei Tsu with Ilcat, Velvetex, VLNAP, Wagenfelder Spinnereien and Wintex. The highlight of the stand was Trevira’s new trend show for the contract market, “Trends in Contract by Trevira CS”. 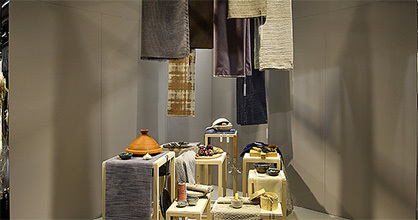 The show gave visitors, especially (interior) designers and decorators, an opportunity to find out more about innovative textiles and colour trends on the home and contract market. Technology is opening up new paths. Innovative developments are revealing new design possibilities and changing the way we look at things. In the world of design, this phenomenon is mirrored in a fascination with immateriality and transparency, in the use of optical effects, sensual progressions and alluring surface structures. Designs come with a fluid and dynamic appearance, solutions are highly aesthetic and functional. The central themes of this visionary trend are quiet, well-being and relaxation. The colours have a balanced mixture of intense fluorescent and neutral shades. Fuchsia and intense yellow create bright accents against a palette of radiant white and a variety of subtle greys. The combination of simple forms and restrained colouring creates a calm and unfussed appearance. The debt it owes equally to Scandinavian and Japanese influences can be seen in the way it balances minimalism, attention to detail and a very contemporary “normcore” design approach. Mindful solutions are needed to protect resources and guarantee longevity. Non-colours and natural tones create a sense of calm and aesthetic equilibrium in all areas of life. A gentle wood tone, harmonising with anthracite, dark blue and claret, makes for a relaxed feel, while neutral greys, rosé and white provide lighter accents. In terms of design, this trend is realistic, joyful and informal. Conventional design processes are questioned. 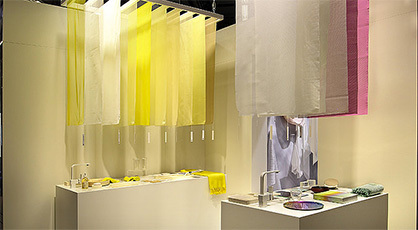 Trend-setting principles include alternative construction techniques and recycling and upcycling technologies. The interior design of the future – whether for homes, temporary spaces, co-working or co-living – offers a convincing mix of comfort and optimal flexibility. This trend is creatively expressed in experimental approaches to materials, colours, products and styles. A key theme is modification. A fresh look that plays with ideas of collage, diversity and flexibility. This vivid stylistic universe has a colour palette that combines leached-out tints with vital, intense hues. More neutral shades such as blue ashes, grape, grey and a light wood contrast with vigorous, optimistic tones such as petrol green, turquoise, ochre, rapeseed yellow and burnt orange. The material in this trend topic is full of fascinating patterns and creative surface designs. Features include a nod to sportswear with hot-cut materials, Velcro details and functional refinements. 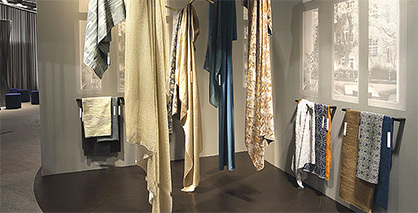 The designs are virtually unlimited – ranging from graphic patterns, dip dyeing techniques and over-dyeing to monochrome colour surfaces. Also of note are photographic motifs, coarse-resolution screen prints and high-resolution digital prints. Luxurious, yet comfortable. This contemporary style places cutting-edge features in a decorative setting, with compositions that unite a bohemian character with an almost sculptural language of form. Intriguing combinations of materials work with fine, supple textiles to create a sophisticated effect. Soft and gentle shapes and materials reveal how much value is placed here on comfort and elegance, while discreet, gleaming surfaces express a sense of delicate costliness. These colours have an extraordinary depth and brilliance. The elegant palette reveals a spectrum that reaches from pastel-soft rosé and apricot via sand and sage right up to rich velvet shades. Intensity is added with jade, petrol, black and a dark, matt silk graphite. These subtle colourings emphasise the alluring surfaces, while richer colours feature lustrous elements that highlight the extravagant look. 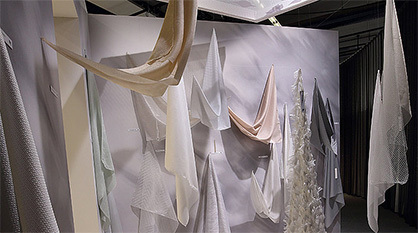 These textiles are characterised overwhelmingly by their soft, voluminous and supple qualities. The high-grade materials include fabrics with a natural fibre look recalling cotton or – especially – wool. We find twill, bouclé and velvet qualities alongside silk and leather looks, combined with opulent jacquards to express brilliance and elegance.